I just had to show you a quick peek at this amazing pair of shoes I found in my local charity shop today. 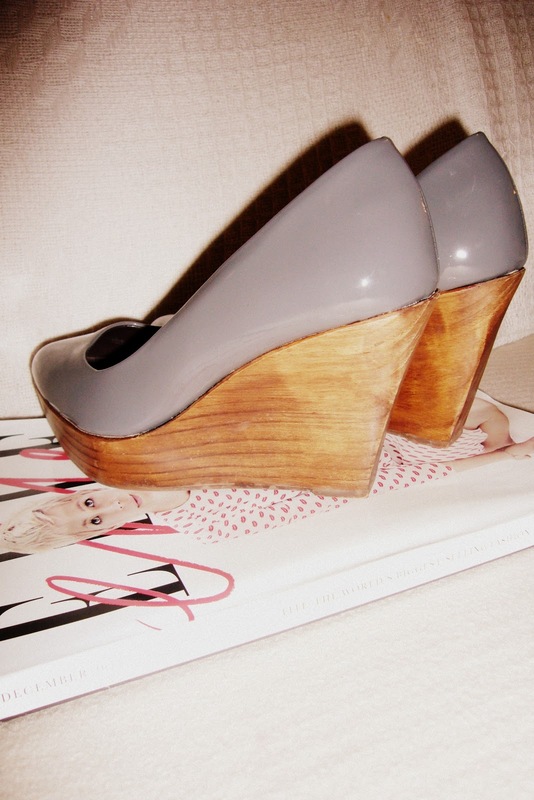 They are Zara, grey patent leather with proper wooden wedges which are really sculptural and interesting (sorry this isn't the best picture!) and the best bit was the price....£5! They are brand new as well, no marks or anything.....ohhh I heart charity shops! I was actually trying to be really good, I'd walked up there to donate a bunch of stuff that I'd sorted out since we're about to move. Anyway, I clapped my eyes on these-in my size-and knew I couldn't leave them behind!